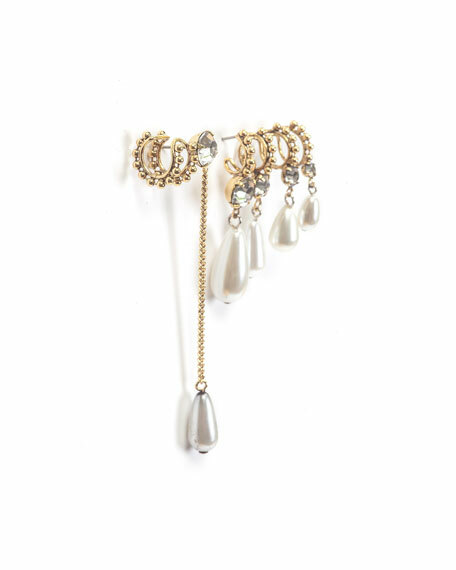 Ana earrings by Dylanlex in 18-karat gold plated brass. Prong-set, graduating round Swarovski® crystals. 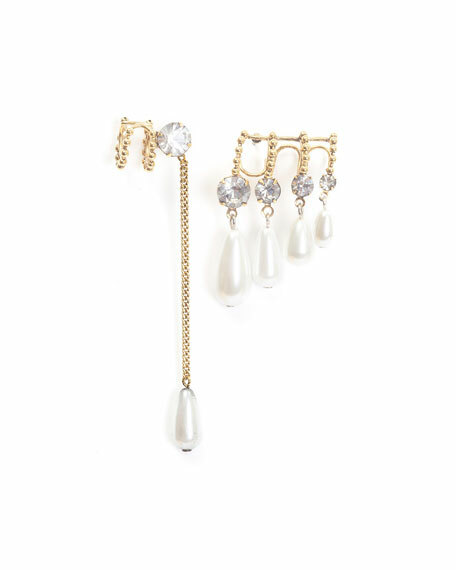 Multi-size pearly white teardrop dangles. For in-store inquiries, use sku #2661868.